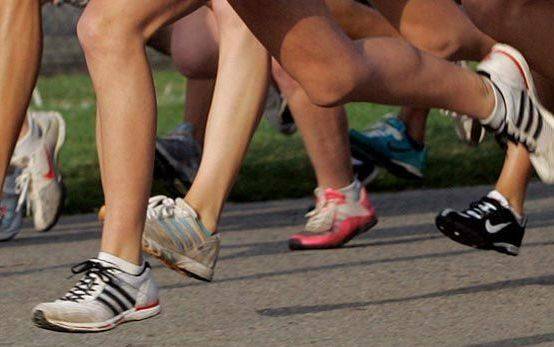 ST. MARYS — The host Roughriders won the boys event and the New Bremen girls earned the girls title Tuesday at the Auglaize County Meet. The St. Marys boys finished the cross country competition with 33 points followed by Wapakoneta (52), New Bremen (69), Waynesfield-Goshen (93) and New Knoxville (122). Wapak’s Isaac Webb won the boys race in 17 minutes, 26.53 seconds with St. Marys’ Noah Tobin (17:46.24), Wapak’s John Doll (18:20.15), New Bremen’s Landin Boyle (18:41.72) and Waynesfield-Goshen’s Alan Hatfield (18:58.44) rounding out the top five. New Bremen finished with 28 points in the girls competition followed by the Roughriders (44) and Wapak (57). New Knoxville and Waynesfield-Goshen did not post team scores. St. Marys’ Morgan Henschen won the girls race in 21:28.06 with New Bremen’s Alayna Thieman (21:40.99), Wapak’s Paige Schneider (22:29.66), New Bremen’s Andrea Heitkamp (22:40.13) and St. Marys’ Lauren Cisco (22:43.38) also finishing in the top five. LIMA — The Shawnee boys (20-45) and girls (15-45) earned victories. Lima Central Catholic’s Quinten Potempa won the boys race (18:55) followed by Shawnee’s Gabe Williams (18:57). Shawnee’s Ann Hardy (23:18) won the girls event with teammate Lexie Marshall (23:22) finishing second. MARIA STEIN — The Parkway boys and Coldwater girls won team titles. The Panther boys finished with 49 points followed by St. Henry (56), Celina (69), Coldwater (95), Fort Recovery (106) and Marion Local (117). The Coldwater girls had 38 points followed by St. Henry (56), Fort Recovery (79), Celina (99), Marion Local (113) and Parkway (141). Parkway’s Kyle Roth (18:31) and Blake Ontrop (18:48.41) finished first and second respectively with St. Henry’s Blake Ontrop (18:55.78) and Coldwater’s Andrew (19:04.74) and Isaac (19:14.17) Schoen also finishing in the top five. Fort Recovery’s Chloe Will (21:41.8) won the girls race with Coldwater’s Haley Alig (22:22.55), St. Henry’s Lauren Hemmelgarn (22:46.36) and Katie Kunkler (22:47.89) and Marion Local’s Kelsey Broering (22:56.88) also finishing in the top five. ELIDA — The host Bulldogs defeated Miller City 25-23, 25-22, 25-21. Cheyenne Welch had seven kills, Evelyn Frueh had seven kills, 10 assists and 11 digs, McKenzie Miller had 24 digs and Nevaeh Vorhees had 16 assists for Elida. Miller City’s stats were not reported by deadline. LIMA — The Thunderbirds won 25-20, 23-25, 25-22, 25-16. Rosie Williams and Jocelyn Morrisey had 15 kills each, Cassidy Meyer had six aces, Hannah Reipenhoff had 40 assists, and Victoria Lauck had 21 digs for LCC. Williams also had seven blocks . HOUSTON — The Rangers won 25-19, 25-13, 25-17. Tayler Doty finished with seven kills and seven digs, Tasia Lauth had 15 kills, Erin Scott contributed 22 digs and Carly Fledderjohan had 34 assists for New Knoxville. BOTKINS — The Pioneers fell 25-21, 20-25, 25-16, 25-19. Sophie White had four aces aces and 18 digs, Anna Acklin had three aces and 17 assists, Lizzie Helser had nine kills, Bethany Whitman had seven kills and Lindsey Stump had three kills and 16 digs for Temple Christian. ADA — The host Bulldogs won 25-12, 25-21, 25-6. Rilan Conley had 13 kills, Sidney Gossard had16 assists, Morgan Swick had nine aces and Sidney Gossard had 12 digs for Ada. USV’s stats were not reported by deadline. MINSTER — The host Wildcats fell 25-17, 25-10, 25-19. Emily Stubbs had nine digs, Josie Winner and Brooke Wolf each had five assists and Ava Sharp had six kills for Minster. COLDWATER — The Cavaliers won 23-25, 25-22, 25-21, 25-21. Lauren Gilliland had 20 kills, four blocks and 13 digs, Annelise Harlamert had 39 assists, Katie Alig Libby Sudhoff and Gilliland each had four aces. COLUMBUS GROVE — The Bulldogs fell 21-25, 19-25, 25-23, 25-23, 15-12. Amy Vorst had 38 digs, Peyton Brubaker had seven blocks, Haley Radabaugh had 17 kills and Becca Chci had 19 assists for Grove. BRYAN — Kennedy Jenson had two goals and Rachel Russ scored one. Madi Mason and Claire Huff each had an assist. Grace O’Connor and Kaelan Swallow got the shutout in goal. HARROD — Olivia Silone had two goals and Shelby Dirmeyer, Kinsey Helser and Taylor Rooker each had one. Kinsey Helser, Cassidy McKeever and Taylor Rooker each had an assist. Madi Lause, Abbigail Ruppert and Morgan Follin each had two goals and Lauren Whitehead, Ellie Settlage and Marisa Raney each had one. Corrine Raney and Morgan Becher combined to get the shutout in goal. lty kick, for Temple Christian. Sam Sharik had a goal for C-R. The other Cory-Rawson score was on an own goal. TROY — Shawnee fell to 1-1 on the season. LIMA — Medalist Drew Zwiebel 39, Clay Wilsey 43, Dylan Timmerman 45 and Jon Hefner 48 combined for the winning score at Tamarac Golf Course. Dylan Buetner led Elida with a 43. OTTAWA — Mason Tadena (45), Brock Lammers (48), Eli Wueller (48) and Mason Brandt (52) combined for the winning team total of 193. Holgate’s Josh Tobias was medalist with a 39.